The Metropolitan Division, home to the last three Stanley Cup winners, has been as competitive as ever. In 2017-18, the Metropolitan took five of eight Eastern Conference playoff spots. The Washington Capitals, Pittsburgh Penguins, and Philadelphia Flyers locking in the top Metropolitan seeds, while the Columbus Blue Jackets and New Jersey Devils snuck right into the wild cards in the nick of time. On the contrary, the Carolina Hurricanes, New York Islanders, and New York Rangers didn’t fare too well in the standings, but the Metropolitan basement still largely outplayed the Atlantic’s. From a fan’s perspective, there’s a lot of exciting hockey to watch, with amazing shows of skill and a perfect dose of heated rivalry. Let’s find out which Metropolitan teams had the highest fan turnout throughout the past season. The following charts show reported attendances for each of the eight Metropolitan venues, as per hockey-reference.com. For a how-to on reading these charts, please refer to the explanation here. 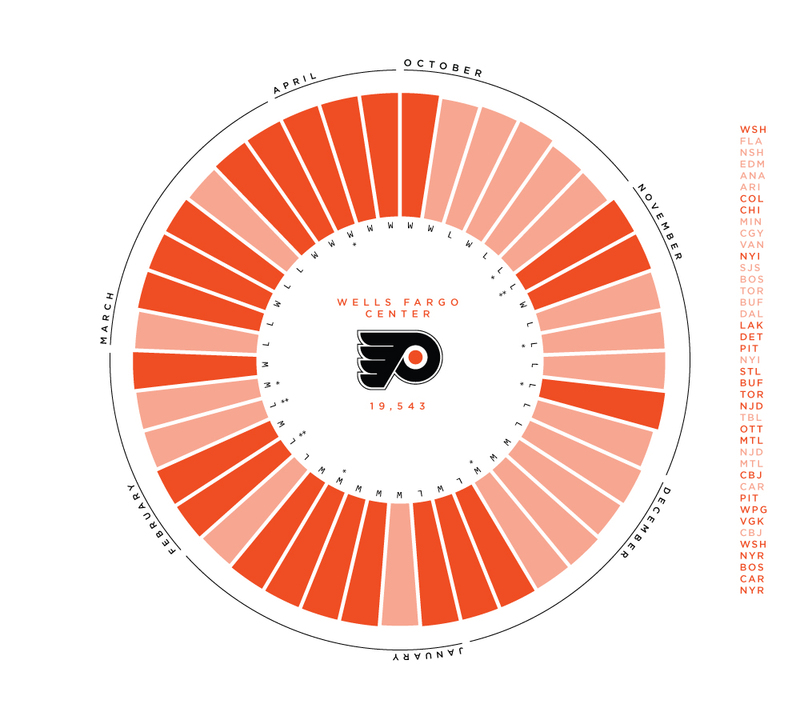 Playing out of the largest Metropolitan arena, and third largest in the league, the Philadelphia Flyers sold out 22 of 41 possible home games. On the nights that they did have a full crowd, they often surpassed the seating capacity of 19,543. With standing room, the Flyers’ largest crowd was the season finale against the New York Rangers, where they posted a shutout win in front of 20,028 fans. On average, there were 19,517 people in the Wells Fargo Center on any given night, making for a virtually full arena for the whole season. The Carolina Hurricanes unfortunately did not fare too well with attendance in 2017-18. Besides their home-opener and a late-February sellout against the New Jersey Devils, they did not have a full crowd in any other game. In a relatively large arena with a capacity of 18,680, the Hurricanes had some of the lowest attended games in the season. Their second home game was a league-low with 7,892 people, leaving the PNC well over half-empty. 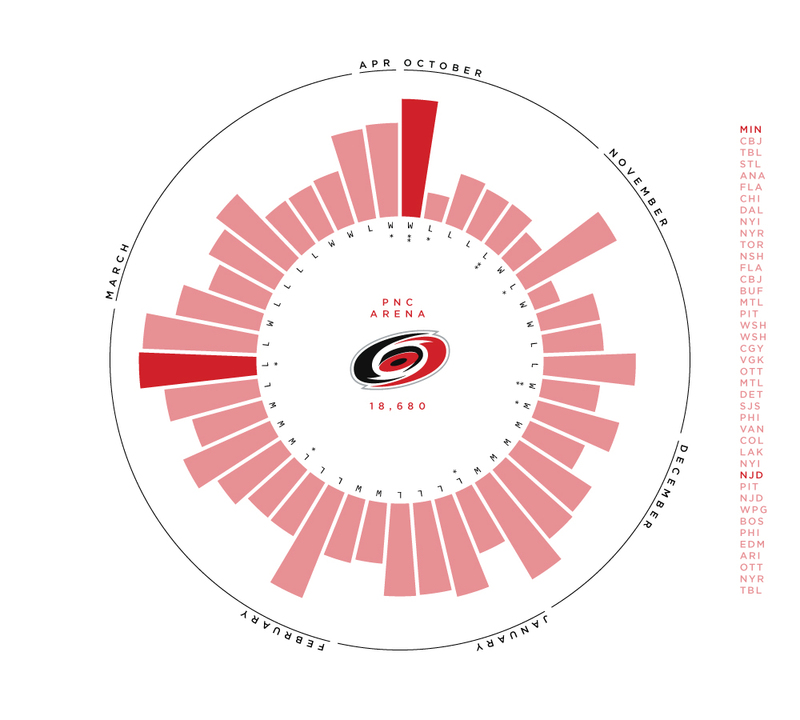 On average, there were 13,321 fans at home games, but with the wildly inconsistent attendance swings, the Hurricanes never really knew if they’d have the home crowd support until game time. 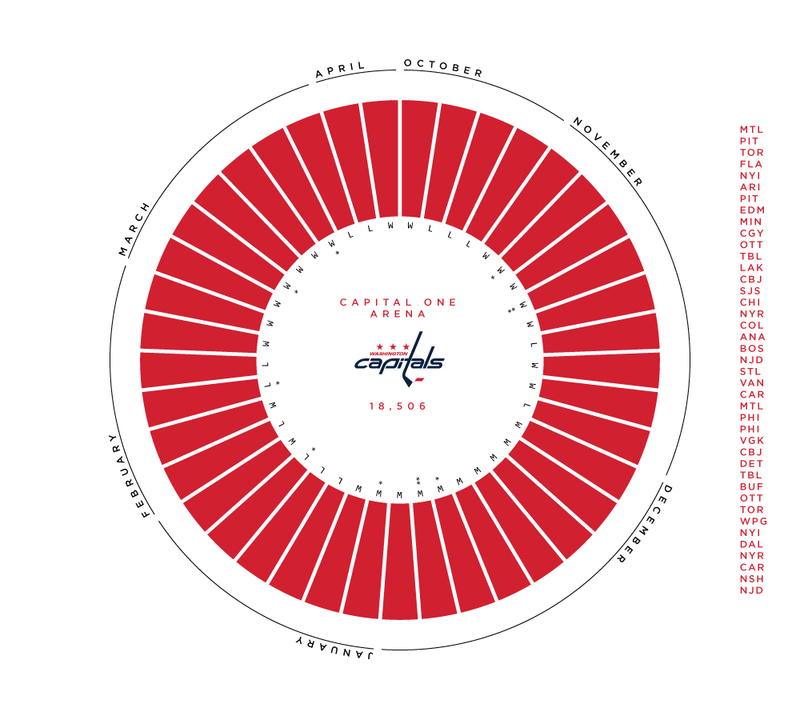 The eventual Stanley Cup Champions sold out the Capital One Arena every single game along their way. The Washington had at least 18,506 fans at all of their home games. With no standing-room numbers reported by the Capitals, it’s unknown how full the crowds really were, but there’s a good chance there were enough people to form a parade… or something like that. The Pittsburgh Penguins also had full attendance every night in the PPG Paints Arena. However, unlike their rivals in DC, the Penguins reported standing-room numbers. 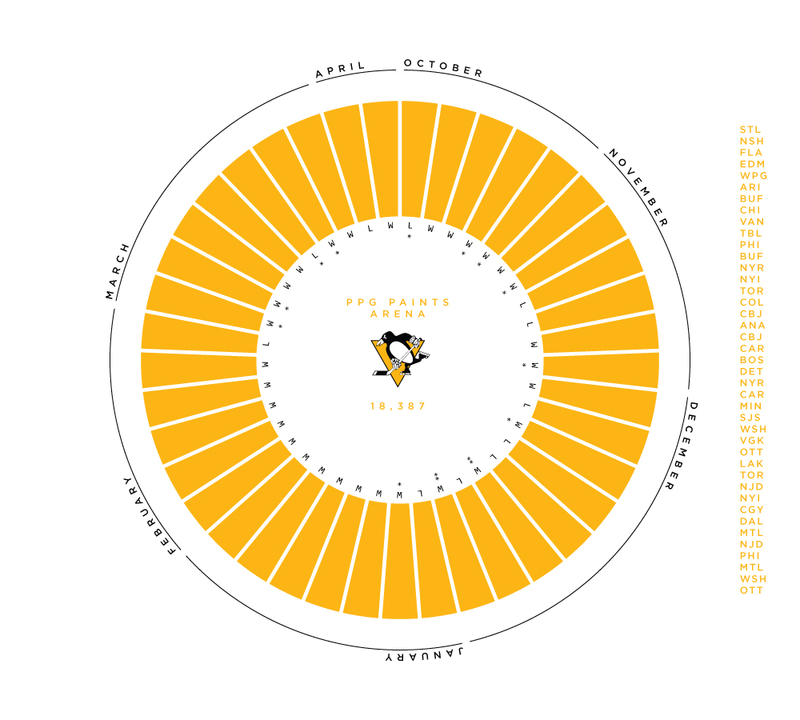 The lowest attended game in Pittsburgh was 18,411 people, just slightly over capacity. Their highest attended game had 18,661 fans in the crowd. The former understandably occurred in a game against western visitors, the Colorado Avalanche. However, the latter—their biggest crowd of the season—came against highly disliked division rivals, the New York Islanders. 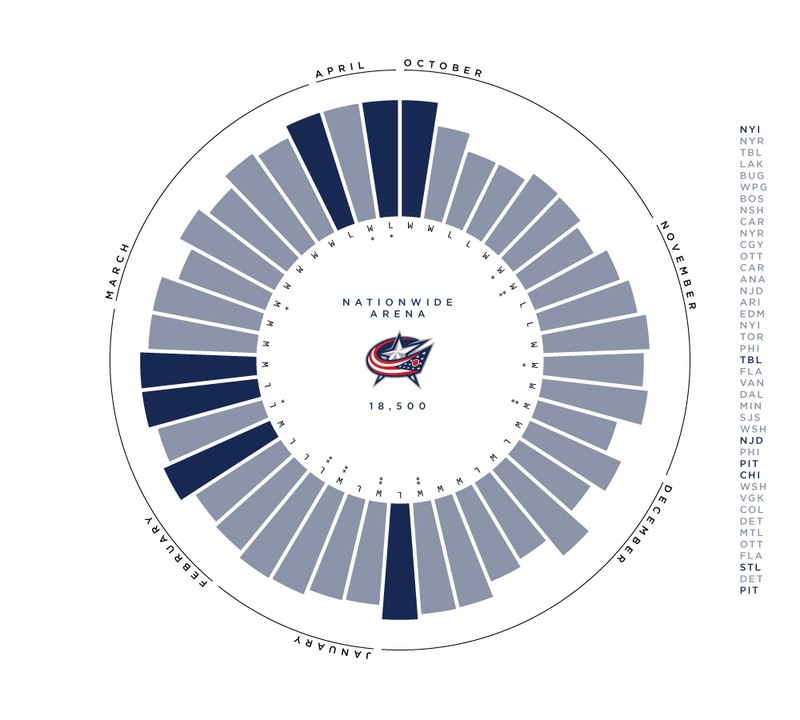 In Columbus, the Blue Jackets put up decent attendance numbers in the Nationwide Arena. Capacity, listed at 18,500, was reached seven times throughout the season. Standing-room brought some games well over capacity, their highest attended game was at 19,157—the last game of the season against the Pittsburgh Penguins. On average, there were 16,596 people in the stands eagerly awaiting the cannons. The New York Rangers, despite their mid-season tweet announcement of a rebuild, maintained impressive numbers in the Madison Square Garden throughout. 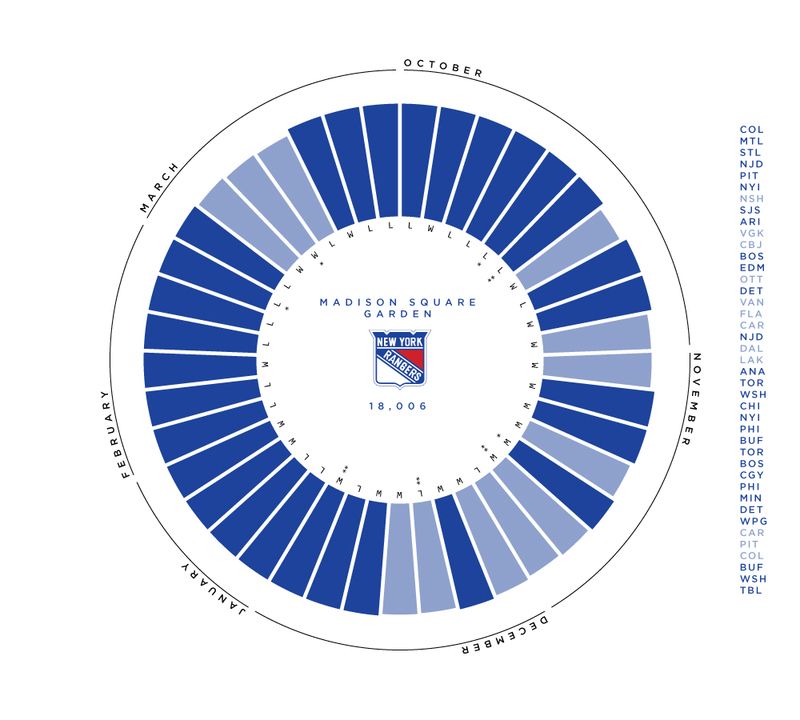 In 29 games, the Garden was filled to capacity, eight of which were after it was made known that the Rangers were rebuilding. The average was 17,851 for the season, with the lowest being 17,181 during a mid-October game against the Nashville Predators. With the rebuild underway, it’ll be interesting to see how the 2018-19 season unfolds in term of crowd support for the Rangers. The Prudential Center, the third-smallest arena in the league, managed to sellout 21 games. 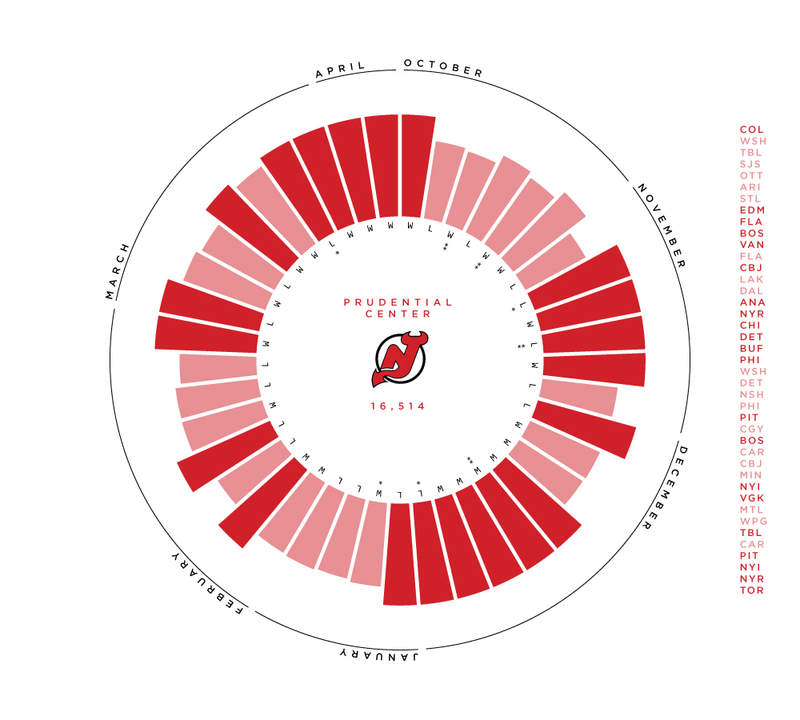 The New Jersey Devils put up 13 wins in those sellout games. Perhaps having a full home crowd might have had something to do with their successful playoff race. Despite having a full arena for just over half the games, their average attendance on the season was 15,201, which was 1,313 of a capacity crowd of 16,514. The lowest attended game in the Prudential Center this season was a game against the St. Louis Blues, which drew a crowd of 12,317. 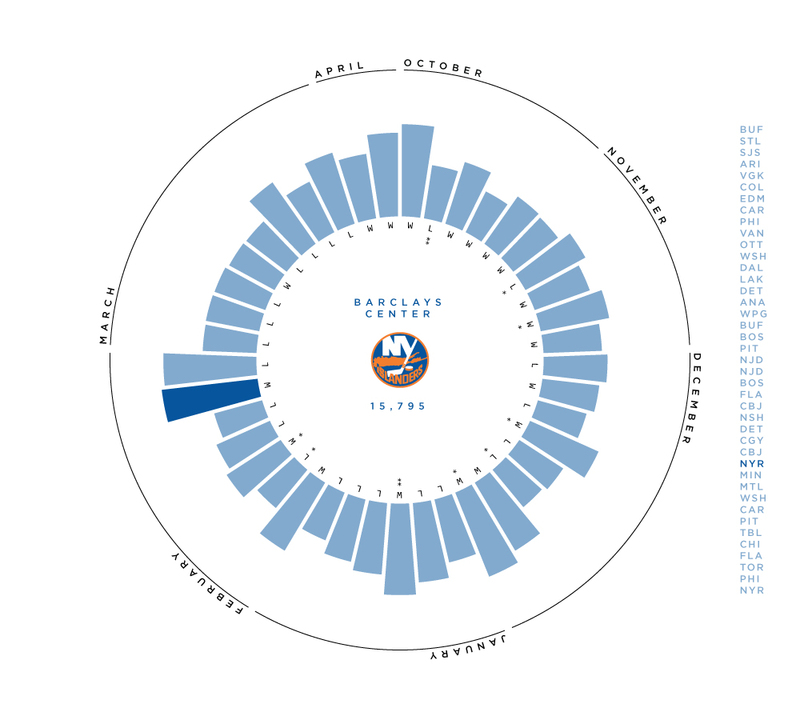 The New York Islanders, playing out of the controversial Barclays Center didn’t have strong crowd support in Brooklyn. They had one sellout game against the Rangers, but otherwise had weak attendance throughout the season. Not even the home-opener or season-closer managed to pull a full crowd. On average, the crowd was 12,002 strong. The lowest attended game was against the Arizona Coyotes, where just 9,795 people made their way to Brooklyn to catch the game. Hopefully the Islanders find a better home come the opening of the Belmont Park Arena. The Metropolitan, had just two teams sellout all of their games this past season. Despite the impressive numbers from Washington and Pittsburgh, there were also teams that struggled to pull any semblance of crowd support throughout the season. The drastic differences in attendance not only highlights the differences in fan bases, but could also show how arena accessibility can play a role in attendance as well. Tune in for the conclusion of the Arena Attendance series tomorrow, where the Atlantic Division will be visited! All data obtained via hockey-reference.com. Note: While numbers are listed as attendance, it may be the case that the numbers actually reflect ticket sales. Hey I love the charts! What did you make these in? Thanks so much! I used Adobe Illustrator.